Wonderful townhome, located in the Sunridge community on cul-de-sac. The home boasts a living room with vaulted ceilings, stone wood burning fireplace and skylights for plenty of natural light. The kitchen has a breakfast nook to enjoy your morning coffee overlooking the community greenbelt. The 2nd floor has a master suite with walk-in closest, bathroom and private balcony to relax on. The unfinished basement is partially framed and awaiting your finishing touches! Large back deck with new trek decking for BBQing and entertaining on summer nights. 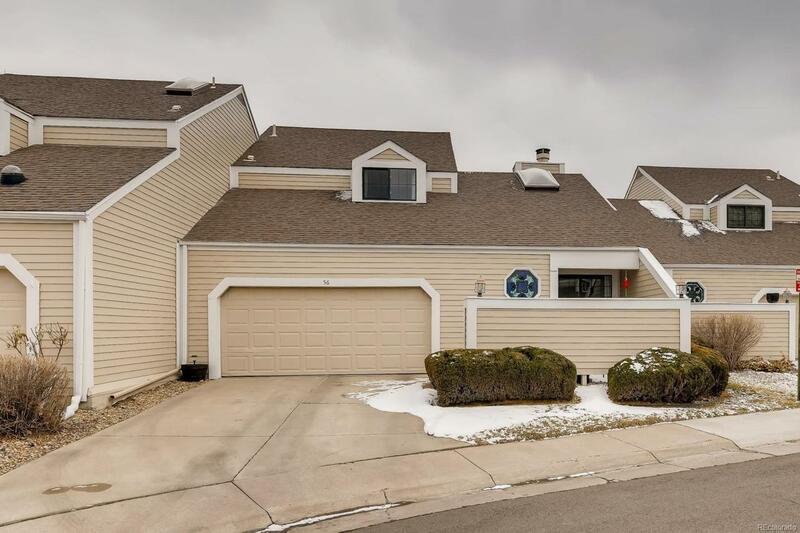 2 car attached garage, community amenities include - trash service, community pool, snow removal, exterior insurance, and water. New water heater and dishwasher.